The Chief Justice of North Khorasan Province said that five people were sentenced to flogging for negligence and that the flogging sentences had been carried out. The men were administrators in the North Khorasan Medical Sciences University. “In relation to the negligence in preserving public property and financial issues, five offending administrators at the Medical Sciences University were sentenced to flogging and the sentence was implemented,” Asdollah Jafari said on January 30 during a press briefing covered by Mehr state-run news agency. No other details on the case were disclosed and it was not clear how many lashes each person had received. In a recent case, a 27-year old man was sentenced to three years in prison and 74 lashes for “stealing a chicken” in Laly city in the southwestern province of Khuzestan. Quoted by the judiciary’s news agency Mizan Online, the Chief Justice of the city confirmed the news on January 29, 2019. The last report of flogging in Iran was that of a man who was publicly flogged on January 6, in the country’s southeastern Sistan and Baluchistan province. 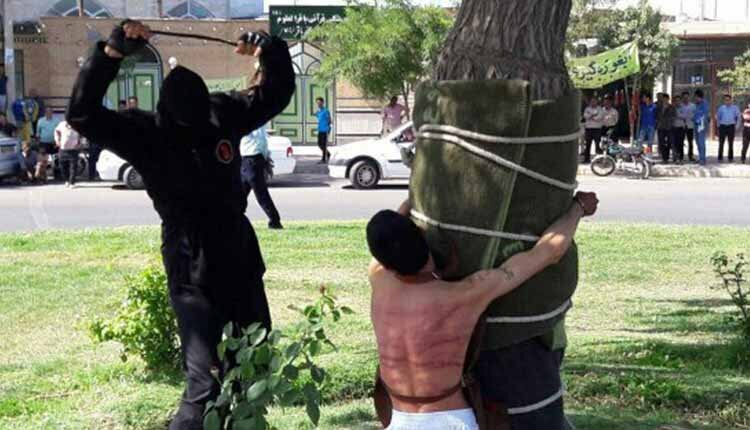 The man identified as Esmail Arbabi was flogged for the second time on charges of robbery in poverty stricken city of Iranshahr. Iran does not consider flogging as torture or an inhumane punishment and uses it to “set an example”. The chairman of the Parliament’s Committee on Industries and Mines recently encouraged the use of flogging and execution for “economic offenders”. “If two people are thoroughly flogged and if two people are executed in a timely manner for controlling the market, it will be a lesson for everyone else,” Aziz Akbarian said in an interview with the state-run Alborz Radio in late December 2018. “As a party to the International Covenant on Civil and Political Rights, Iran is legally obliged to forbid torture and other cruel, inhuman and degrading treatment or punishment. It’s simply unacceptable that the Iranian authorities continue to allow such punishments and to justify them in the name of protecting religious morals,” he said in July 2018 in a statement condemning the lashing of young man for drinking alcohol. The Iranian regime’s General Prosecutor Mohammad Jafar Montazeri recently expressed his regret when he stated that he is denied carrying out “divine punishment orders” (Saria Law) to avoid further international human rights condemnations against the Iranian regime.